adamlambert: @lovemrspencer is Lighting Up!!! 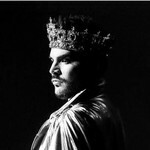 adamlambert: Diet starts tomorrow. Actually, next year. Today I'm eatin dads pancakes. Diet starts tomorrow. Actually, next year. Today I'm eatin dads pancakes. So I was thinking maybe Eber pours his pancakes in from a measuring cup, but no, it would be more evenly shaped so I'd say he spooned it in. One spoon makes pancakes about two inches across. I'd say this was three spoons which since they take time between (to reload the spoon) gives time for the prior spoonful to cook a bit and the new spoonful makes a new path giving it the pillowy shape. Also nice touch to keep the syrup warm in a pot of water. Those jars just don't fit well in a microwave.